Dianthus acicularis Fisch. ex Ledeb. Dianthus algetanus subsp. turolensis (Pau) M.Bernal, Laínz & Muñoz Garm. Dianthus ancyrensis Hausskn. & Bornm. Dianthus andronakii Woronow ex Schischk. Dianthus anticarius Boiss. & Reut. Dianthus arpadianus Ade & Bornm. Dianthus barbatus var. compactus (Kit.) Heuff. Dianthus basianicus Boiss. & Hausskn. Dianthus broteroi Boiss. & Reut. Dianthus brutius Brullo, Scelsi & Spamp. Dianthus cachemiricus Edgew. & Hook.f. Dianthus carmelitarum Reut. ex Boiss. 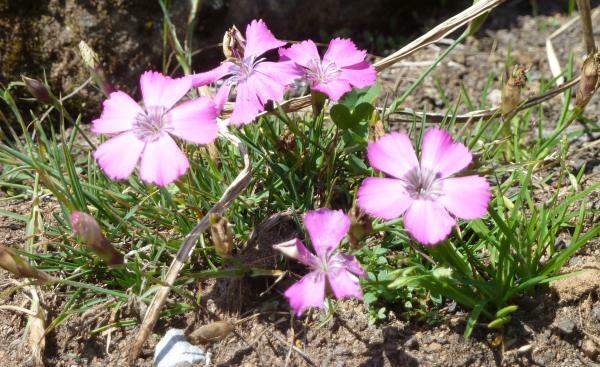 Dianthus charadzeae Gagnidze & Gvin. Dianthus cintranus Boiss. & Reut. Dianthus collinus Waldst. & Kit. Dianthus crinitus subsp. baldzhuanicus (Lincz.) Rech.f. Dianthus crinitus subsp. nuristanicus (Gilli) Rech.f. Dianthus crinitus subsp. soongoricus (Schischk.) Kozhevn. Dianthus crinitus subsp. tetralepis (Nevski) Rech.f. Dianthus crinitus subsp. turcomanicus (Schischk.) Rech.f. Dianthus cyri Fisch. & C.A.Mey. Dianthus elymaiticus Hausskn. & Bornm. Dianthus engleri Hausskn. & Bornm. Dianthus falconeri Edgew. & Hook.f. Dianthus giganteus subsp. vandasii (Velen.) Stoj. & Acht. Dianthus glutinosus Boiss. & Heldr. Dianthus haematocalyx subsp. ventricosus Maire & Petitm. Dianthus × hellwigii Borbás ex Asch. Dianthus humilis Willd. ex Ledeb. Dianthus jacquemontii Edgew. & Hook.f. Dianthus kastembeluensis Freyn & Sint. Dianthus kuschakewiczii Regel & Schmalh. Dianthus lanceolatus Steven ex Rchb. Dianthus laricifolius Boiss. & Reut. Dianthus leptoloma Steud. ex A.Rich. Dianthus macranthoides Hausskn. ex Bornm. Dianthus micranthus Boiss. & Heldr. Dianthus multiceps Costa ex Willk. Dianthus multiceps subsp. multiaffinis (Pau) Rivas Mart. Dianthus multisquameus Bondarenko & R.M.Vinogr. Dianthus muschianus Kotschy ex Boiss. Dianthus nitidus Waldst. & Kit. Dianthus orientalis subsp. 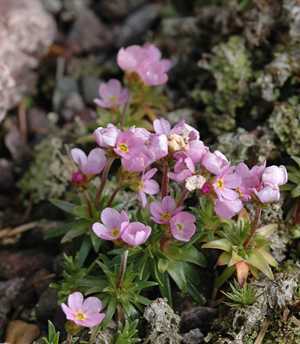 macropetalus (Boiss.) Rech.f. Dianthus orientalis subsp. obtusisquameus (Boiss.) Rech.f. Dianthus orientalis subsp. scoparius (Fenzl ex Boiss.) Bornm. Dianthus orientalis subsp. stenocalyx (Boiss.) Rech.f. Dianthus pallens Sibth. & Sm. Dianthus patentisquameus Bondarenko & R.M.Vinogr. Dianthus petraeus Waldst. & Kit. Dianthus pinifolius subsp. lilacinus (Boiss. & Heldr.) Wettst. Dianthus polylepis Bien. ex Boiss. Dianthus pseudobarbatus Bess. ex Ledeb. Dianthus pungens subsp. ruscinonensis (Boiss.) M.Bernal, Laínz & Muñoz Garm. 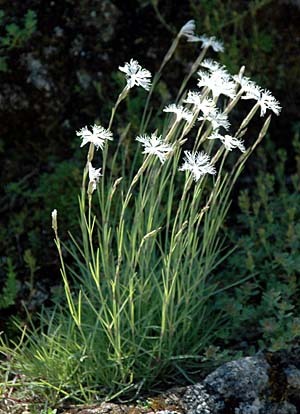 Dianthus pyrenaicus subsp. attenuatus (Sm.) M.Bernal, Laínz & Muñoz Garm. Dianthus ramosissimus Pall. ex Poir. Dianthus rupicola subsp. aeolicus (Lojac.) Brullo & Miniss. Dianthus ruprechtii Schischk. ex Grossh. Dianthus sachalinensis Barkalov & Prob. Dianthus seguieri subsp. requienii (Godr.) M.Bernal, Laínz & Muñoz Garm. Dianthus semenovii (Regel & Herder) Vierh. 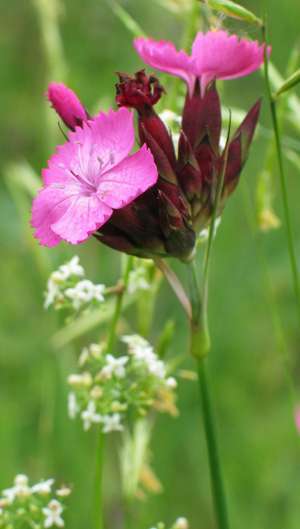 Dianthus serotinus Waldst. & Kit. Dianthus setisquameus Hausskn. & Bornm. Dianthus sphacioticus Boiss. & Heldr. Dianthus stepanovae Barkalov & Prob. Dianthus stramineus Boiss. & Heldr. Dianthus strictus Banks ex Sol. Dianthus superbus subsp. alpestris Kablík. ex Celak. Dianthus sylvestris subsp. bertisceus Rech.f. Dianthus tabrisianus Bien. ex Boiss. 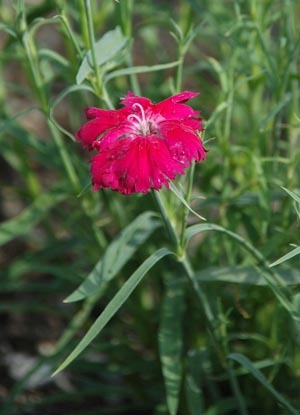 Dianthus tabrisianus var. coloratus (Bornm.) Rech.f. Dianthus toletanus Boiss. & Reut. Dianthus trifasciculatus subsp. parviflorus Stoj. & Acht. Dianthus tymphresteus (Boiss. & Spruner) Heldr. & Sart. ex Boiss. 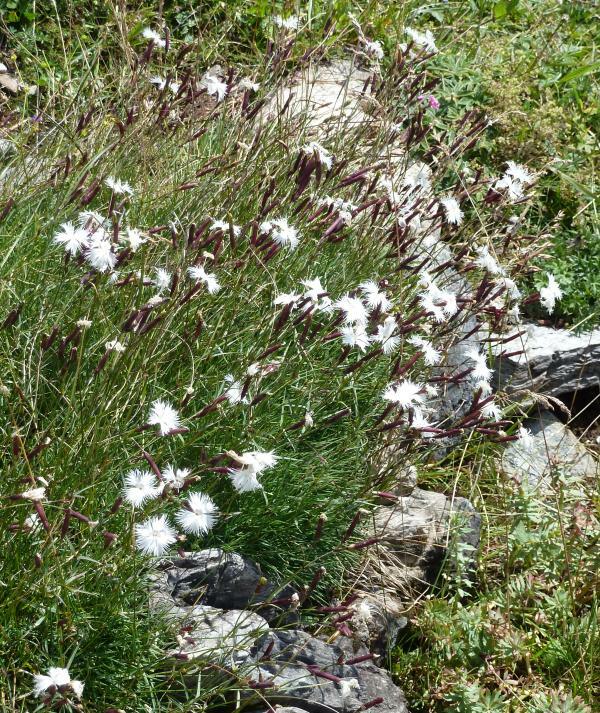 Dianthus urumoffii Stoj. & Acht. Dianthus vulturius Guss. & Ten. Dianthus × warionii Bucq. & Timb.-Lagr. Dianthus webbianus Parl. ex Vis. Dianthus woroschilovii Barkalov & Prob. Dianthus xylorrhizus Boiss. & Heldr.